The 6th annual PBHL draft was a great success. We would like to thank everyone that tuned in via twitter. Now we dissect each team and provide our prediction on each team’s finish. Don’t fret if your team is predicted to miss the playoffs. Last year we predicted Fancy Doors & Mouldings to miss the playoffs and they baisthi’d us by winning the whole thing. Some of the teams we considered powerhouses, limped into the playoffs and did nothing once they got here. That experience taught us that championships aren’t won on paper. If Rob Gakhal drafts you that is usually a good thing. He is well-regarded in the PBHL circle and drafts a competitive team. We’ll call last year a deviation from the norm. His team tied for second last and got in on tie-breaker. We expected them to breeze into playoffs and do some damage. They did. But only liver damage. This year should be different. He drafted Anoop Sahota with his first round pick. Anoop was a crucial piece of Fancy’s championship success and this year should be no different. Him and Amit Singh, both offensive defenceman will solidify the back-end. Upfront we expect Rob and Sunny Basi to centre the top two lines. Shawn Atwal makes his return to the PBHL and expect some apples from him. Rob also went with what he knew when drafting Goldy, Navi G, Paul, Sukhi Kaint, Amit Chavda and Jessal. All capable players. Bobby Rai is in his sophomore season and we expect him to take the next step. The same from veterans Ashish Singh, Balraj Lally, and Shishu Rajput. Rookies Ranbir Dhesi and Gurshan Dhillon showed that they could make an impact at the rookie game. Is the league (specifically Regime) ready for Jaz Randhawa to win another ring? Prediction: All India makes playoffs. Last year Sukhman Thind was a rookie captain but you couldn’t tell. His team rocketed out of the gates and may have won 7 games in a row before suffering a loss. 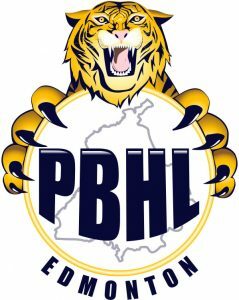 However, the PBHL season is a marathon not a sprint; they stumbled towards the end ultimately getting eliminated in the first round of playoffs. Arjun Ghuman will play with a chip on his shoulder. It seems as though everyone forgot about the past captain and champ and him and former 4th pick overall, Jotty Atwal will remind them. They lead a very deep D, arguably the best in the league. Sim Mahal is making a name for himself as a tough to beat d-man and Gurveer Chohan is no longer one of PBHL’s best kept secrets. Karn and Jaspal are capable of eating tough minutes. Upfront it will be Sukhman and Waqas in the middle. Waqas is a talent and this year will be the year he loses the not-a-pbhl-player label. The wings are quick, Armanjot, JJ and Shaneil. There is some power in Deepak and rookie Gurman Sra. Kurran Kaura and Karn Khangura return to the league and Karn Hayre, Avnash Mann get better each game. Jashan Sandhu will look to turn heads. The big question mark is in net. Primarily because Karnjit Mann didn’t play last year so we don’t know where his fitness is. If he finds his form early, you won’t be scoring many goals on this team. Prediction: Art Custom Homes makes playoffs. Sunny Brar drafted cousin Navi Brar first overall. I’ve heard rumours that they will stack the Brars with PBHL’s all-time leading scorer, Sanjay Sarker. A formidable top line. That means Amiraj will likely be the second centre. Flanking him could be Gary Dhillon and rookie game standout Suneet Mangat. Sunny Brar was very impressed with the rookies he saw, he drafted almost all of them. See Jatin Sahni, Milan Sahni, Shawn Heer, Barinderpal Nanuan, Harman Lally, Gurpal Gill, Jatin Jasser. It will be an opportunity for them to make a name for themselves rather quickly. It usually takes a few years to get your badges in the PBHL. The defensive unit includes some of the toughest guys to play against in Prabh Thind, Navtej Dhillon and Raji Deol. Robby Gill is a wily vet. Jaz Dhaliwal is in net. We predict he will put up some top-half numbers this year. Prediction: Dhillon Insurance makes playoffs. Deep Sangha brought the band back together. This is second year in a row drafting Sunny Khaira and third drafting Jas Sadhra. They either have compromising pictures of him or its because all three tied for their team lead in points last year. Gallo took Fancy to the brink in last year’s semi-finals and many agreed that the winner of that game 3 would win it all. That happened. The core from that team is largely intact and this team will be tough to play against. This team is fast. And in the PBHL speed kills. Mani Boparai is a track star. Zee Abbasi, Sunny Nerval, Nadeem Gangji, and Ricky Sekhon are all quick on their feet and play a simple yet effective style. Our scouting report tell us that rookies Harman Sangha and Arman Sidhu are speedsters too. It is very difficult to put up numbers as a rookie. However, the hype train is building for rookie Arjun Basi and we wouldn’t be shocked if he fills a top 6 winger or 3rd C role. Nonie Maan is coming off a statistically disappointing season and we expect him to bounce back with numbers near his career 0.5 ppg average. Sunny Atwal is raring to show that he can play a bigger role this year and Ranjit Gill was spotted doing interval training yesterday. We expect Gallo to play chip and chase hockey with an aggressive fore check up front. But what about the back-end? Sarman Malhi, Raju Bagri and Sam Sekhon are bruising, intelligent players. They are tough to beat and play an aggressive game. Champagne has an opportunity to fill out the top 4 as his style of play fits the mould. This could be a breakout year. In net Gallo have Sim Deo who is returning from after a year off. In previous years Sim was either great or not at all. He is chomping at the bit to get back into the league and show that he can backstop his team to success. Prediction: Gallo & Company makes playoffs.